Coinbase is currently one of the most popular online platforms in the world for buying and selling Bitcoin. In addition to Bitcoin, Coinbase also supports Litecoin and Ethereum, two of the other most popular cryptocurrencies in the world. Coinbase functions as an online wallet service for these cryptocurrencies, and makes the process of selling Bitcoin (BTC), Ethereum (ETH) and Litecoin (LTC) extremely simple. At this point in time, these three cryptocurrencies possess the highest market caps, and by offering traders and investors comprehensive services that support them Coinbase has become the world’s largest cryptocurrency trading platform. The coinbase platform boasts more than 9 million users across 30 different countries, and is backed up by extremely high security standards and strong reliability. Coinbase places a strong emphasis on building safe and secure products that are extremely easy for beginners to use. In this article, we’ll break down the entire Coinbase platform from top to bottom. We’ll examine the history of Coinbase and find out how it came to be the largest and most popular Bitcoin trading platform, as well as provide a comprehensive explanation of how to use Coinbase to store cryptocurrency in their hosted wallet solution. Near the end of this guide, we’ll provide a clear explanation of how to open up a Coinbase account and get started with purchasing Bitcoin or the other cryptocurrencies supported by the platform, as well as finally providing a pros and cons summary of the entire Coinbase site. The Coinbase platform was founded in 2012, has over 30 employees, and raised $106 million in investments from big backers, such as Y Combinator and Andreessen Horowitz, among many others. It’s also headquartered in the United States, in San Francisco, California, making it a very publicly-accessible company. As we mentioned Coinbase is supported by an extensive list of investors and, over the last few years, has grown rapidly. Today, Coinbase is the largest and most popular Bitcoin trading platform in the world, and supports more than 10 different languages across 30 different countries. Importantly, Coinbase works closely with regulatory authorities around the world and is licensed in almost every state of the USA. This is one of the primary reasons for the success of the platform. The Coinbase wallet solution is one of the safest and most secure wallets online, and supports Bitcoin, Litecoin, and Ethereum. Coinbase wallets also offer a range of security features that aren’t offered by other cryptocurrency exchanges. Coinbase both controls and protects all of the private keys used by the blockchain to verify owner of Bitcoins or other cryptocurrencies, making Coinbase more similar to a traditional bank than other hosted wallet solutions. Although the Coinbase platform is extremely secure, it’s always good crypto practice to store the majority of your crypto in a personal offline wallet for enhanced security. Coinbase is one of the most user friendly crypto trading platforms online, and offers an extremely streamlined interface that is uniquely suited to beginner traders and investors. 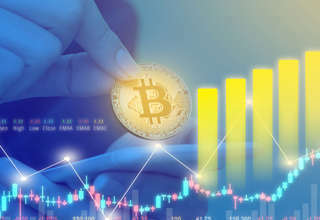 The creators of the Coinbase platform have placed a strong emphasis on simplifying the crypto trading process, making it attractive and straightforward to new users. While the Coinbase platform may be simple in appearance, it’s also linked to the GDAX platform, which offers advanced traders a bevy of more complex and specific trading tools. Of all the exchanges online currently, Coinbase offers the best user experience, and is supported by similarly simple and streamlined iOS and Android apps. The Coinbase platform is well-financed, and thus has a significant security budget. From the perspective of security, Coinbase is the best option online, and supports users with backup management and offline storage solutions. The private keys that users need to access their cryptocurrency are divided into separate pieces and stored on a combination of both paper and offline storage in different locations with extensive backups. For Coinbase users residing within the United States, Coinbase wallets are protected with FDIC insurance of up to $250,000 from the US government. While Coinbase is extremely secure in how it handles user accounts (allowing things like 2-factor authentication), where it really starts to shine is in its insurance. Accounts are insured against non-user errors, such as the company itself being hacked or some other malicious attack. As long as users are keeping secure accounts (using strong passwords and 2FA), this covers the vast majority of other failure points, helping give more confidence in knowing that the coins that are held by Coinbase are safe and secure at all times. To take things a step further, Coinbase also implemented a “Vault” system, which is essentially a paper wallet. The vault system is even more secure than a normal wallet, in that you can set it up to utilize a n-of-m system for handling withdrawals. For example, an individual can have it set to where it only requires their permission. A business or friendship, on the other hand, can require that a specific number of people (out of a select group) are required to successfully withdraw funds. This adds an additional layer of security in that a single person can not maliciously decide they are going to wipe an account – if the other parties don’t agree to it, nothing will happen. Coinbase offers competitive and generous buy and sell limits when compared to other cryptocurrency trading platforms. The fees presented by Coinbase are reasonable considering the extensive customer support, security, and ease of use the platform offers. 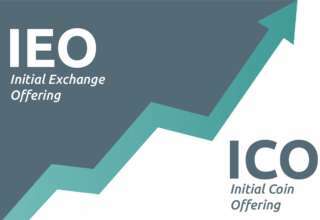 Other exchanges may offer lower fees, but their overall security and user experience are typically lower in quality. Coinbase offers an incredibly simple buying process, and typically charges fees of between 1.49% and 3.99%, which can differ depending on the purchase method used. You’ll find more information regarding the Coinbase fee structure in the Fees and Limits section of this guide. 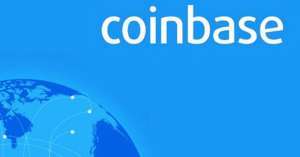 Coinbase was founded in 2012 by partners Brian Armstrong and Fred Ehrsam. The Coinbase platform was one of the first cryptocurrency trading platforms that achieved funding from several Wall Street companies, which was wholly unique at the time of the platform’s launch. Today, Coinbase is the largest cryptocurrency trading platform online, and was the first crypto exchange to achieve a market value of more than $1 billion. As Coinbase has grown, so too has the list of services they offer. When the Coinbase platform launched, it was simply an online platform that sold Bitcoin and offered wallet services. Today, Coinbase offers a diverse range of services in addition to their wallet solution, including the advanced GDAX professional exchange, and the Toshi Messaging App, which facilitates the transfer of funds between users. 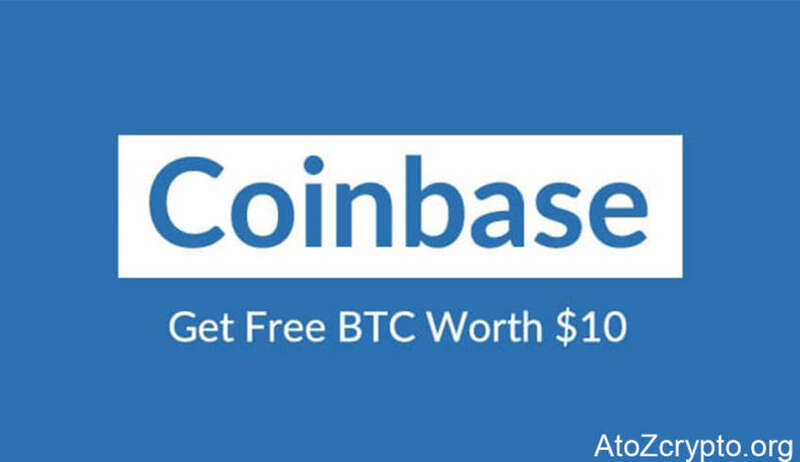 Coinbase began in the United States, and was launched from a San Francisco, California based headquarters. The Coinbase company has now expanded globally, and as a result now offers a good trading volume for both Euros and Pounds. This ultimately contributes to a lower spread and lower fees, allowing Coinbase to offer a competitive trade rate from BTC to USD. Most of the other cryptocurrency exchanges use US dollars as their base currency for trading, which can often make it difficult to find platforms that offer similar trading volumes in Euro and Pounds. Following the launch of the Coinbase platform, it didn’t take long for it to establish itself as a major player in the Bitcoin trading ecosystem. With the assistance of massive venture capital from well known investors, Coinbase has dominated the cryptocurrency trading market and taken a leading position. Coinbase is now a serious cryptocurrency trading platform, and offers unrivalled security. In future it will be extremely interesting to observe how Coinbase continues to grow and expand into new markets. Coinbase has achieved international success partially due to the relationships it has established with various governing and regulatory bodies around the world, allowing it comply with a wide range of laws and regulations. This also means that users are not anonymous on the Coinbase platform, however, but for most users is a price worth paying for the high level of security it offers. The Coinbase online wallet is arguably the most secure and safest wallets online for trading Bitcoin, Ethereum, and Litecoin. According to both Coinbase and independent third-party reports, more than 98% of all cryptocurrencies held by Coinbase are managed in cold storage. The Coinbase platform protects user currency in a similar manner to the way banks store fiat currency. Each user’s private key is broken down into several different parts and stored in different locations, over offline hard drives and backups. In addition to creating regular wallets, Coinbase users are also able to create two other types of wallets. These wallets, called the Vault and the Multi Signature Wallet, offer unique and powerful advantages over standard wallets. Multi Signature wallets require two different email addresses, and require two different email addresses to approve withdrawals or transfers. Once a withdrawal request is signed, it takes 40 hours to complete, in which time the transaction can be cancelled. All of the login details used by Coinbase customers to access their accounts are hashed and encrypted on the Coinbase servers. This alone, however, doesn’t offer an extremely high level of security. Keeping your password safe is critical in the world of cryptocurrency, so it’s best to take advantage of the Coinbase two-factor authentication option for both login and withdrawal. Coinbase manage and protect all private keys for users, which makes the platform more similar to a traditional bank than a modern crypto trading platform or wallet. Coinbase may be an exceptionally safe place to buy and sell cryptocurrency, but it’s best not to store your crypto reserves in any hosted wallet solution. Purchasing a hardware wallet is the safest way to store your cryptocurrency, which allows users to control and manage their own private keys. Normal use of Coinbase as a wallet goes through its “account” system. In Coinbase’s terms, an account is simply a wallet, and you are able to make as many of these as you wish, giving them each descriptive names if desired (for example, “fun money” or “long-term savings”). This allows for separation of funds in secluded wallets as a whole, akin to using a desktop program like MultiBit. It’s also worth noting that vaults are considered as accounts, so multiple vaults can be set up as well, each with their own withdrawal requirements. When it comes to addresses, a single one is generated with each new account set up. More can be created manually (and are able to be custom tagged to better organize where people are sending their payments to), and with each transaction that’s sent out, a new change address is created that you then have access to. Along with this, addresses are logged based on their age, so it’s easy to see which ones have been used and which haven’t, as well as when each address was originally created. Coinbase offers an extremely simple and clean design that makes it easy for new investors and traders to purchase Bitcoin and other cryptocurrencies. The Coinbase platform has focused on making first time cryptocurrency purchases for new users simple and self-explanatory, and makes the entire process easy to understand. Coinbase users are able to create an unlimited amount of wallets, and are able to purchase cryptocurrency instantly with a credit or debit card. In this article, we’ll provide a detailed explanation of how to use the Coinbase platform to purchase cryptocurrency with a debit card or credit card. Upon login, Coinbase users are presented with a web interface that offers all of the tools and features necessary to trade, buy, and sell cryptocurrency. The Coinbase dashboard provides a concise and streamlined display of the most relevant information for users, as well as detailed reporting tools. Users seeking more complex or advanced trading tools are able to take advantage of Coinbase’s GDAX Exchange, which is directly linked to Coinbase wallets. In addition to the web interface, Coinbase also offer a smartphone app for both iOS and Android. The Coinbase smartphone app offers two factor authentication, and also allows users to set up a PIN for additional security. The app also offers a shutdown function should a smartphone be lost or stolen. Interestingly, Coinbase also allow API access to their platform, which provides developers with the opportunity to integrate platform features into third party solutions. The Coinbase platform is available in 10 different languages throughout 30 different countries, and is currently expanding rapidly across the world. Overall, Coinbase offers the best user experience of any exchange online. Getting up and running with Coinbase is very, very simple. When an account is set up, you are given basic access to the wallet system, to send and receive Bitcoin. From here, you can then go through a quick verification to unlock the ability to both buy and sell Bitcoin via linked bank accounts (which can be quickly verified through the site’s secure verification system). 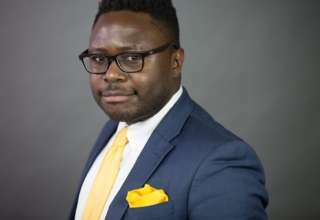 While personal information is needed for this process, that’s due to Coinbase being a licensed bitcoin exchange, thereby giving the security of knowing that they aren’t just going to run off with funds, and that they aren’t going to be shut down by the government while holding your money or coins. For members in the United States, after attaching a credit card to your account and verifying all information needed to make purchases, it’s possible to do an “Instant Buy.” In this case, the coins are instantly transferred to your account, without waiting for the ACH to complete. It’s worth noting that this does not charge the credit card – this is simply as a backup in case the ACH fails for some reason. The reason why this is such a great feature is because normally, an ACH transfer to Coinbase can take up to 4 business days, making the purchase of Bitcoin take just as long. The same goes for transferring back out (selling Bitcoin), which can be a hassle if you’re attempting to do any sort of timing of the market. Luckily, for those that plan to buy and sell somewhat frequently (in an attempt to profit), Coinbase offers a “USD Wallet,” which lets you store cash in the account instead of always having it transferred back to your bank. Buys and sells using this system are also instant, and are not reliant upon having a credit card or worrying about bank transfers. In the world of cryptocurrency, security is paramount. Coinbase is extremely well-financed, and as such is able to invest a significant amount into the development and maintenance of robust security systems. Coinbase is backed by trusted investors and is one of the only cryptocurrency trading platforms that is backed by venture capital from well-known investment banks and other financial institutions. High level financial backing means high level financial security, and for this reason Coinbase has become one of the most well-trusted cryptocurrency trading platforms online. In the United States, Coinbase is covered by FDIC insurance that provides up to $250,000 USD. This insurance applies only to the funds in USD-based Coinbase wallets, and is only available to residents of the United States. Coinbase is currently licensed in 38 States in the USA, and holds a “Money Transmitter” license in states where it is required. Coinbase is also supported by continuous audits of their overall financial operations, reserve management practices, and comprehensive background checks on all management staff members. By working closely with regulatory bodies, Coinbase has made itself the most trustworthy cryptocurrency platforms online. When it comes to security, there are no other platforms that are as safe as the Coinbase exchange. Coinbase protects their users from hacking attacks with insurance, backup management, and offline private key storage. Even if hackers were able to access funds held by Coinbase, the platform would easily be able to compensate users. While Coinbase security is extremely high, it’s important to remember that users lose part of their freedom in return for protection. Coinbase is able to disable or freeze user accounts at any point in time, completely blocking user access to funds. As the original purpose of cryptocurrency is to provide users with complete control over their own funds, it’s important to use Coinbase only as a trading platform, and manage the storage of your own cryptocurrency locally. Lets break down how the fees work while using Coinbase. Coinbase users based in the United States are able to fund their accounts with a bank transfer, which typically takes between 5 and 7 days to complete. Funding a Coinbase account with bank transfer is free, but Coinbase will charge a 1.49% fee when purchases are made. It’s possible to purchase Bitcoin or other cryptocurrencies on Coinbase directly with a credit or debit card, but this will incur a 3.99% fee. In order to purchase cryptocurrencies with a credit or debit card on Coinbase, it’s necessary to verify your identity with a driving license or passport. Purchase limit also depends on the verification stage of a user. Fully verified accounts are able to buy and sell up to $50,000 worth of Bitcoin daily. European Coinbase customers are able to purchase cryptocurrency with SEPA bank transfers, which typically take 1 to 3 business days. Similarly to US based bank transfers, Coinbase charges a 1.49% fee on purchases. The purchase cost from debit or credit cards in Europe is the same as it is in the United States, a 3.99%. Withdrawal limits for fully verified customers in Europe are set at €30,000, which is also the maximum storage of value in any given Europe-based account. Sending Bitcoin to another user or merchant is free in most cases (any transaction above 0.001 BTC). In these cases, the site itself will cover any miner’s fees, so if you have Bitcoin in your account, you always know you’re free to send it without having to worry about how much you’ll truly have after paying. To make things even better, Coinbase employs an email address identity system that allows users of the service to transfer Bitcoin (of any amount) to one another instantly, off the blockchain, absolutely free (including transfers of less than 0.001 BTC). Coinbase is focused on providing users with an extremely stable, safe, and reliable platform, and as such works closely with governments and regulatory bodies to ensure it complies with all laws and regulations in the regions it operates in. As a result, Coinbase follows international financial practices such as KYC, or Know Your Customer practices, and Anti Money Laundering, or AML practices. This means that no user on the Coinbase platform is anonymous. All Coinbase users are required to enter their name, email address, phone number, and a range of other personal details in order to open an account. This information is protected by Coinbase and stored securely, but is available to governing and regulatory bodies when requested. Because Coinbase retains personal identity information and IP address information, it is able to link your transactions and balance on your account. In theory, Coinbase uses this information only to conform to international Anti Money Laundering and Know Your Customer standards. Attempting to launder money via the Coinbase platform is likely a bad idea, as it’s necessary to provide identity information before buying or selling currency. While each transaction uses a new Bitcoin address that prevents observers from linking the transaction to an account, Coinbase still saves all of this information internally, which gives them the ability to control all payments made on their platform. Coinbase has been criticized for their strong commitment to fulfilling regulatory requirements. Recent investigations have discovered that Coinbase tracks how users of the platform spend their cryptocurrency in order to ensure that users are not breaking any laws. For example, Coinbase has frozen and closed accounts that have transferred funds to cryptocurrency gambling websites, as this practice is in violation of US law. As Coinbase is based in the United States, it must adhere to the letter of US law, working hand in hand with US-based regulators to ensure the product they deliver is safe for all users. While this is positive for the overall adoption rate of cryptocurrency in society, it’s somewhat counterproductive to the core axiom of cryptocurrency itself. When the original venture capital funds invested in Coinbase, one of the primary concerns expressed was how the capital would be invested in the new company. One of the primary goals of the funding was to improve the customer support offered by the platform. The cryptocurrency exchange environment is currently in dire need of a customer service overhaul, to which Coinbase has responded promptly and efficiently. In the early days of operation, Coinbase suffered from a number of criticisms regarding its customer service, and as a result has opened a dedicated customer service line. It can be difficult for some cryptocurrency platforms to keep up with the ever increasing demand for cryptocurrency. In one day, Coinbase experiences up to 40,000 new signups. In response to this increasing demand, Coinbase has been forced to massively upscale their customer service team with a lot more staff. Next article What is Ethereum Classic – ETC?